What’s next for FaZe Clan’s Call of Duty team? The historic organization had a rough weekend at the CWL Pro League Qualifier. Heading into the 28-team CWL Pro League Qualifier as one of the favorites, FaZe Clan seemed like one of the few locks to make it into Call of Duty’s top league. But as fans looked on, it became clear that the team’s play was nowhere near what they had become accustomed to from FaZe. Familiar foes such as Team Envy, Evil Geniuses, and Red Reserve punched their proverbial tickets into the Pro League, but last year’s Stage One champions fell short of their ultimate goal. While French squad Overtime Esport ended up eliminating FaZe, the team had been in serious danger for most of the event. A fairly poor pool play put them in a do-or-die situation in their final match against Team Sween, which they narrowly won. The team lost their opening bracket play match, however, putting them just one loss away from elimination. Overtime, who eventually qualified, simply served as the final blow to an otherwise mediocre event performance by FaZe. Now, one of the most popular teams in CoD history will have to sit on the sidelines—or will they? The organization actually has a few options when it comes to its Call of Duty team, and what it decides to do may have a ripple effect on the rest of the community. 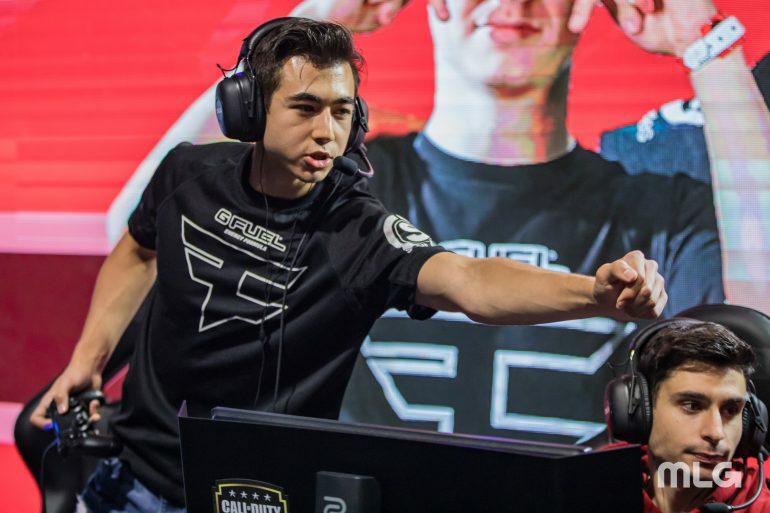 FaZe, as a team, obviously didn’t perform up to their standards, but two players have continued to prove that they’re some of the very best: Tommy “ZooMaa” Paparatto and Preston “Priestahh” Greiner. Keeping those two in their best roles, while placing a few talented players around them to complement their skills, would likely work out well for FaZe. The organization could either decide to stay in the amateur scene for the remainder of the year, or they could purchase one of the 16 CWL Pro League spots. As we saw last season with compLexity purchasing eRa Eternity’s spot, organizations can buy teams’ spots if the two sides come to an agreement. FaZe could do this, especially with squads like Team Space and Midnight Esports not having a major organization’s backing. If FaZe did choose to buy out a team, it would need to wait until March 1 to make any drastic moves to the roster. On that date, though, FaZe would have the ability to entirely overhaul the roster with its current players, or it could add specific players to the existing roster it bought out. While it would be odd to not see FaZe compete in the CWL Pro League, the organization very well may decide to stay out of the league and allow its current roster time to work through its issues in the amateur scene. The 16 Pro League teams will have automatic invites to the 2019 CWL Championship at the end of the summer, but 16 non-league teams will fill out the rest of the tournament. This means an improved FaZe roster could shake things up at the biggest event of the year. Similarly to the second option, FaZe could sign a talented team to compete in the league. Team Space stayed away from joining an organization, despite being touted as one of the best teams in the world, and they would be a good fit for FaZe. Michael “Spacely” Schmale, the captain of Team Space, played for FaZe from August to November 2013. In the fairly-unlikely scenario where FaZe decides to pull out of Call of Duty esports, it could decide to sell its players to other organizations. ZooMaa and Priestahh would be highly sought-after, which would likely bring quite a bit of money back to the organization. A team like 100 Thieves, who has reportedly had issues with roles, may be one of the teams that would pursue ZooMaa or Priestahh aggressively when the CWL Pro League roster change period begins on March 1. Along with OpTic Gaming and Team Envy, FaZe Clan has been a Call of Duty esports stalwart, and has built an incredibly supportive fanbase. It’s hard to imagine a world where FaZe isn’t front and center in the CoD scene, but depending on what the organization’s executives decide to do, that may be the world that we’re living in.